When NBC’s hit TV series This Is Us finally delivered the long-awaited answer as to how beloved Pearson family patriarch Jack (Milo Ventimiglia) dies, passing by slow cooker fire probably wasn't what anyone had expected. One of the show’s most central (and heartbreaking) mysteries, fans had been exchanging morbid possibilities—everything from suicide to dogs to 9/11—since finding out about the character’s demise during the time-hopping drama’s first season. All of that obsessive anticipation is probably why, when the series did finally reveal what happened to Jack, the internet was ablaze with reactions. The reasoning behind Jack’s death was revealed as the result of some faulty knob on a Crock-Pot, and within hours of the show’s airing, fans had taken to the company’s Facebook in both fear and jest. The company even started a Twitter account (@CrockPotCares) to field both the playful, concerning, and some more negative responses. It goes on. Series showrunner Dan Fogelman released his own statement on Twitter reminding everyone that the show is a piece of dramatic fiction and thus plot developments should be treated as such. While Fogelman was issuing polite reminders, Newell, the brand behind Crock-Pot and other kitchen namesakes like Rubbermaid and Mr. Coffee, spent its day putting out fires about its product, which has been a staple of American kitchens and cooking since its release in the 1970s. In a statement to TVLine, Crock-Pot acknowledged that they were also upset by the death of Jack, but that the fictional storyline development doesn’t entirely reflect reality. The data about home and kitchen fires seems to support their statement. A November 2017 report from the National Fire Protection Association confirms that while cooking fires are a serious issue that account for an average of 510 civilian deaths a year, its causes and fatalities aren’t strongly linked to faulty Crock-Pots. In fact, between 2011 and 2015, 43 percent of civilian deaths related to home fires involving cooking equipment came from said equipment being left unattended, with another 22 percent resulting from the heat source being left too close to a combustible. In short, cooking related fatalities were largely the result of not practicing good cooking safety. Furthermore, “Ranges or cooktops, with or without ovens, accounted for the majority (62%) of home cooking fire incidents and an even larger share of civilian deaths (87% or 440) and injuries (80%),” the report reveals. For those concerned that their appliances can’t be trusted, it appears that your ovens and human behavior are more likely to result in your death than a faulty slow cooker knob. 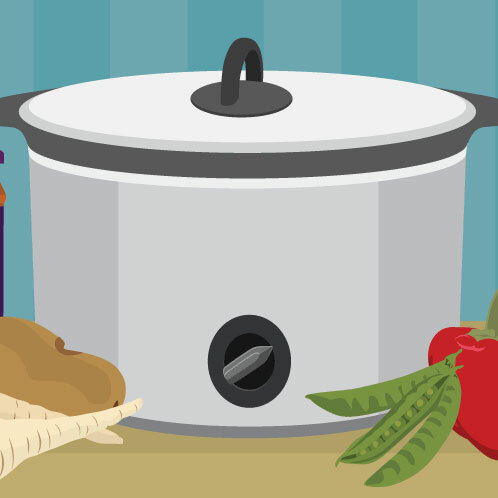 If that isn’t enough to convince you, this guide on whether your Crock-Pot can actually catch fire should put you at ease. The loss of Jack is devastating, but his fictional death isn’t cause to throw out your Crock-Pot anytime soon.